AMD has stunned mobile world, announcing it will be working alongside rivals Intel on MeeGo – the Linux open source project that's headed up by Nokia. 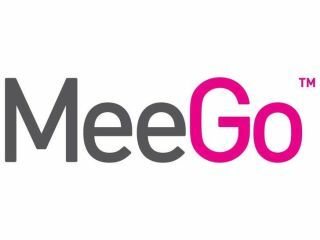 MeeGo was initiated by Nokia and Intel and is mesh of Intel's Moblin (mobile Linux) operating system and Nokia's Maemo software platform. It seems while Intel will be bringing CPUs to the MeeGo party, AMD is looking to offer up its upcoming APUs - so-called Accelerated Processing Units that combine the traditional functions of CPUs and graphics processing in the same chip. In a statement, Ben Bar-Haim, corporate vice president of software development at AMD, said: "MeeGo represents an exciting, open-source mobile operating system we expect to be adopted by mobile and embedded device makers over time. "We are glad to provide engineering resources to joint industry efforts like MeeGo and expect that this operating system will help drive our embedded plans and create expanded market opportunities for our forthcoming Accelerated Processing Units." In a way the move makes a lot of sense for AMD. AMD is a gold level member of The Linux Foundation, so it seems fit that it makes a contribution to the MeeGo Project. Considering Intel has a big part to play in MeeGo, though, it is great to see two rivals working together in the name of open source.